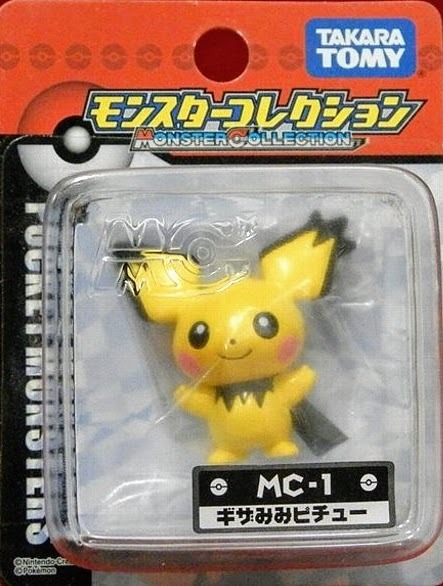 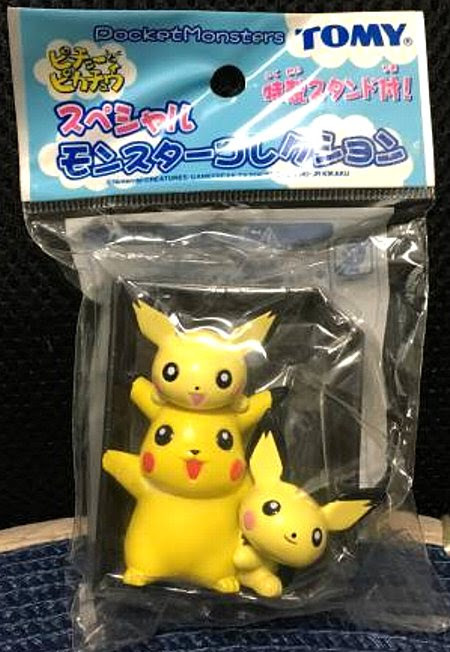 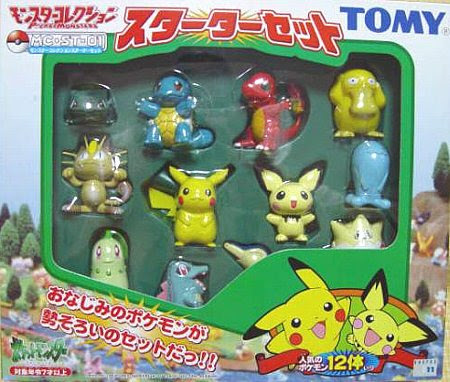 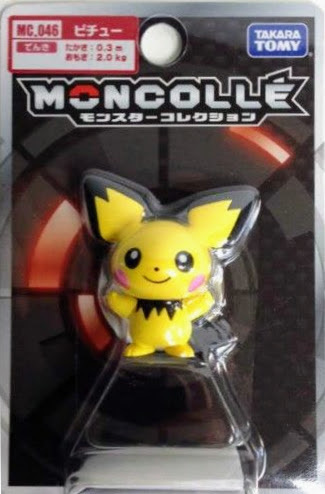 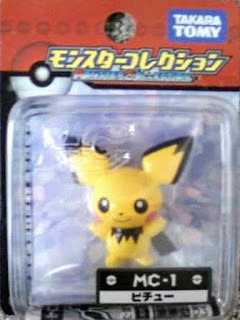 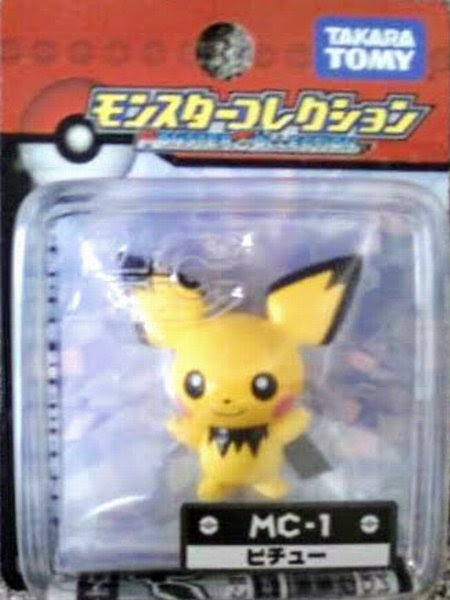 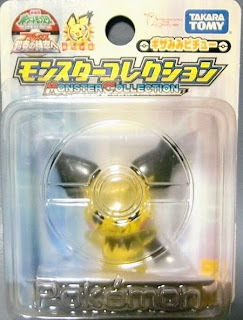 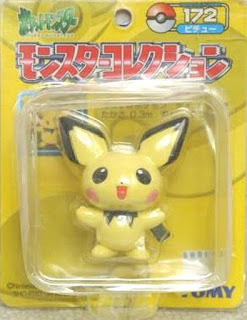 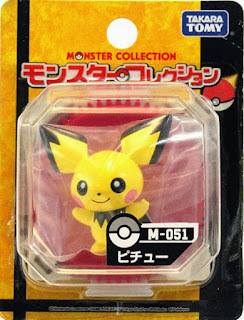 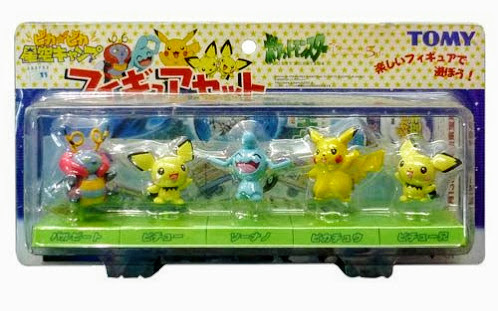 Pokemon figure Takara Tomy Monster Collection series Pichu ピチュー Pose#1. 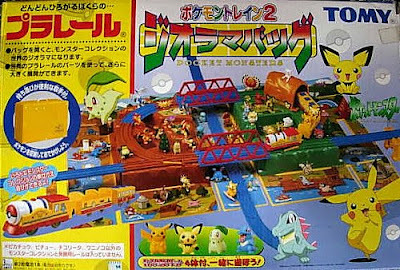 Pose#1 in Plarail Pokemon Train 2 & Pokemon Train 2 Diorama set. 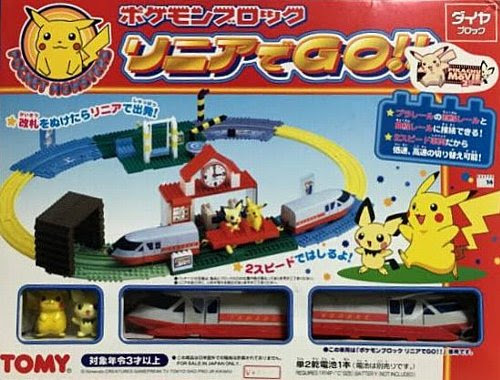 Pose#1 in Plarail Pokemon Block Go Magnet Train!! Pose#1 in GS Starter set. 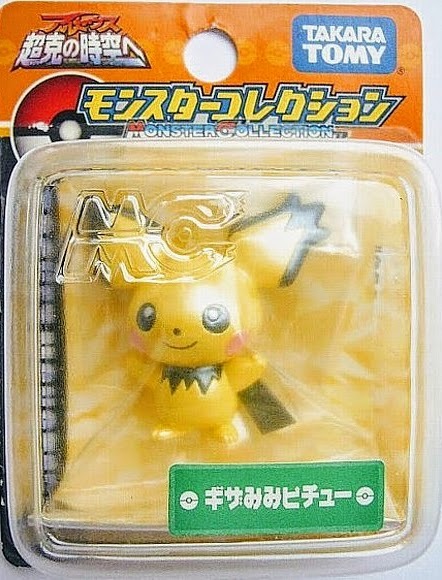 Pose#1 in yellow package series. 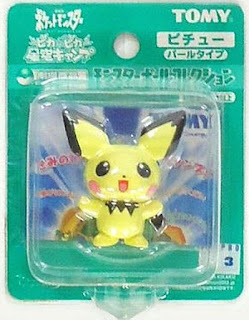 Pose#2 (Pichu elder brother version) in Pichu & Kawaii friends set. 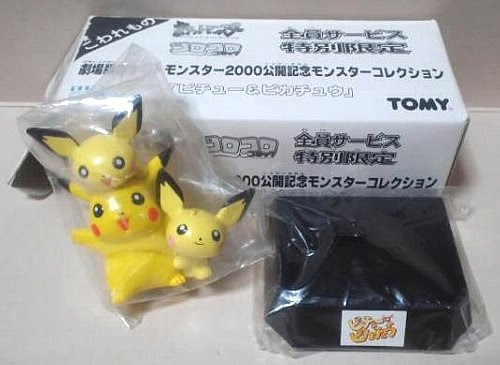 Pose#3 in Pikachu, Pichu, Pichu elder brother 3pcs set by CoroCoro magazine present for 2000 movie promotion. 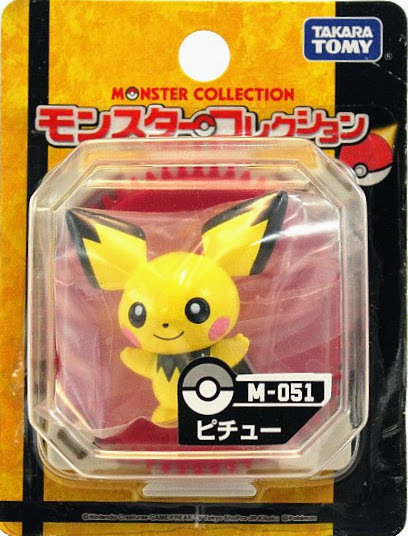 Pose#3 in Special Monster Collection set. Pose#4, #5 (elder brother version) in 2002 movie set. Pose#1 pearly version in 2002 movie promotion. Pose#6, #7, #8 in 2002 airplane ANA present. Pose#9 (Spiky-eared version) in MC series. 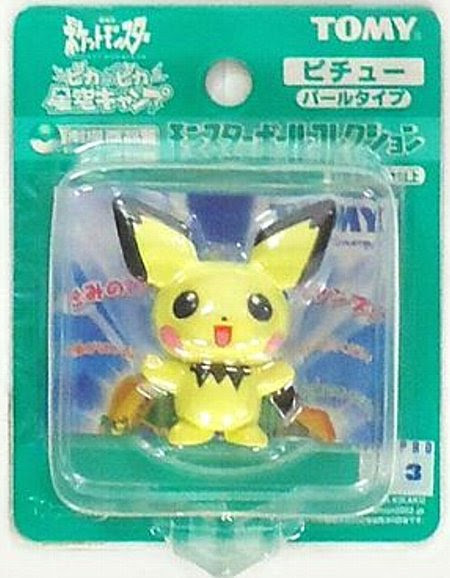 Pose#9 pearly version in 2009 Seven Eleven asort. Pose#9 clear version in 2009 movie promotion. Pose#10 (renewal) in MC series. 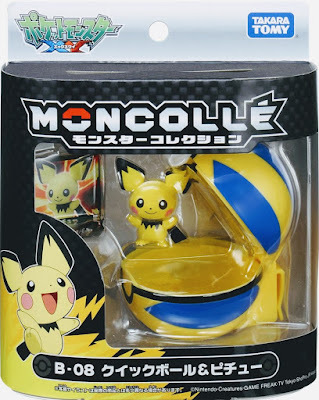 Pose#10 with matte paint in MONCOLLE series. 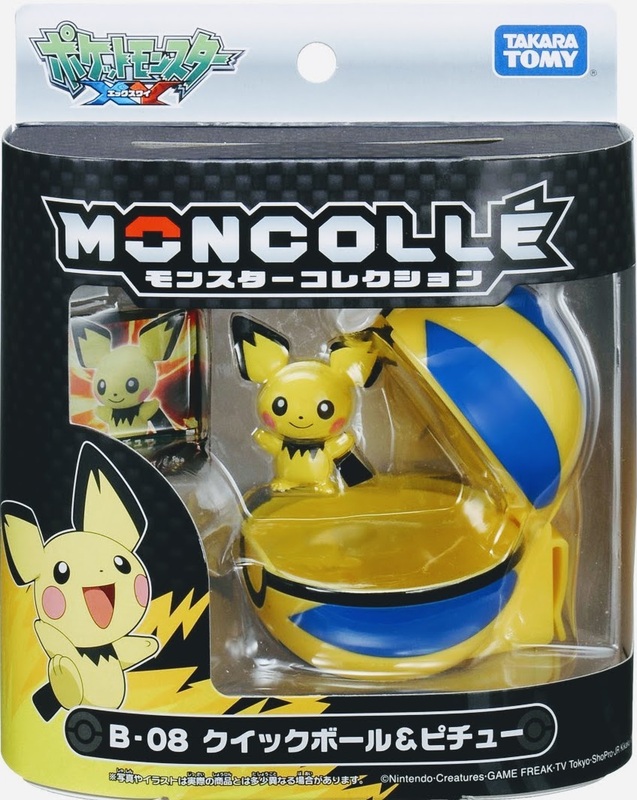 Pose#10 with matte paint and Quick Ball Set in MONCOLLE series. 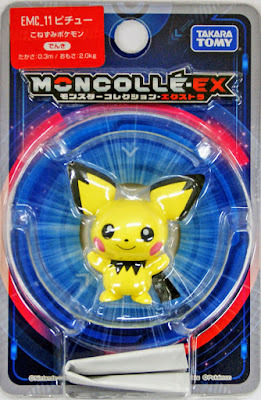 Pose#10 with matte paint in MONCOLLE EX series. 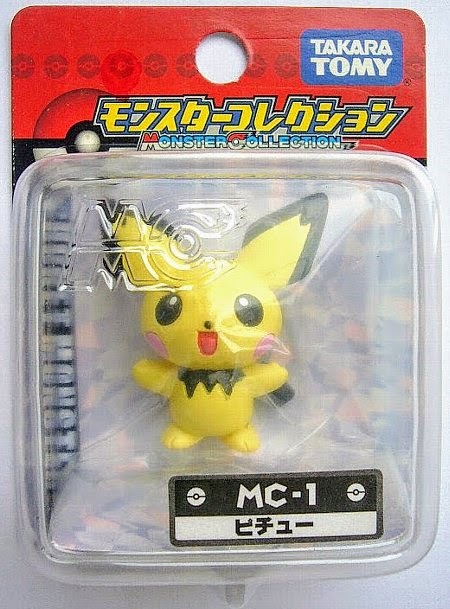 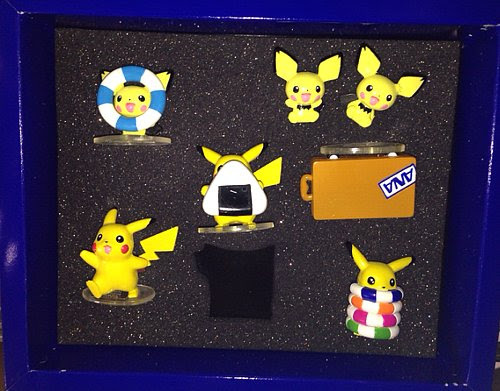 Pichu in YJ Auction ?